Hamburg - Two games remain in the closest relegation battle in Bundesliga history and, accordingly, bundesliga.com will be frequenting the training grounds of the six sides separated by just four points to find out how they're preparing for the final push. 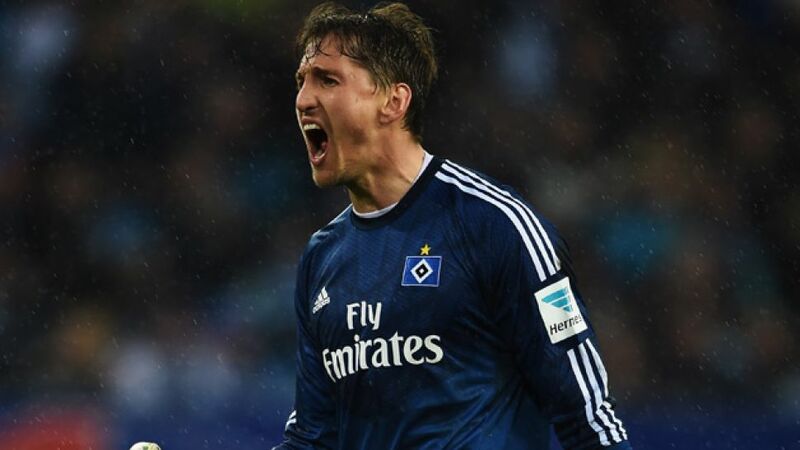 On Tuesday, five questions were posed to Hamburger SV goalkeeper Rene Adler, who explained why he's confident the Red Shorts will retain their ever-present status in Germany's top flight come the campaign's conclusion. Question: Rene Adler, what's the atmosphere like in the squad? Have you noticed any tension in particular among the team? Rene Adler: We didn't play well against SC Freiburg, but we haven't dwelt on the draw. In contrast to last season, when we were also entrenched in the relegation battle, this squad has significantly more experience. The environment at the club is also calmer. In the previous season it was a lot more hectic and a lot more tumultuous. Question: What makes you think the team can survive? Adler: We're all 100 per cent convinced that we can survive this season. We've worked incredibly hard in the past few weeks. We're producing much more unified performances now and have become a lot tighter as a group. Bruno Labbadia has set the example for us when it comes to unity. No one is excluding themselves, Labbadia would support that statement. Question: What exactly are you working on in training right now? Adler: This week we're trying to come up with a concrete plan of action and will then try to execute that against Stuttgart. Question: What do you make of HSV's ? Adler: I'm only focusing on the next game against VfB Stuttgart. I'd use up a lot of energy if I to started thinking about other teams. We're not playing to take a point, but to win. Then we've got our final at home the following Saturday against FC Schalke 04. Question: What's decisive in a relegation battle: holding your nerve or playing with quality? Adler: A few weeks ago following the 1-0 defeat to SV Werder Bremen almost everyone wrote us off. Now our fate is in our own hands. In our most recent encounters we've had to recover from several setbacks. Our opponents now know that they can't write us off. We've pulled together as a team and every player has taken on a little more responsibility. Despite being in a tense situation, we're having a lot of fun again in training. I believe that's incredibly important. The teams who are most able to stay focused and are able to enjoy playing will ultimately be the ones who stay up. I'm convinced of that. And right now it's a lot of fun for us in training.